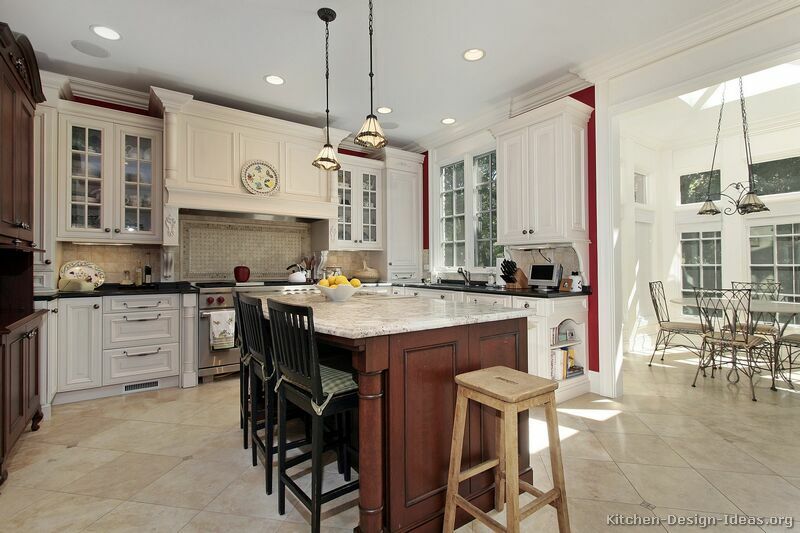 This traditional two-tone kitchen includes a dark cherry island surrounded by white cabinetry and a matching cherry armoire. Deep red walls add to the color scheme, along with a natural stone backsplash, travertine style porcelain tile floors, and contrasting black and white granite countertops. 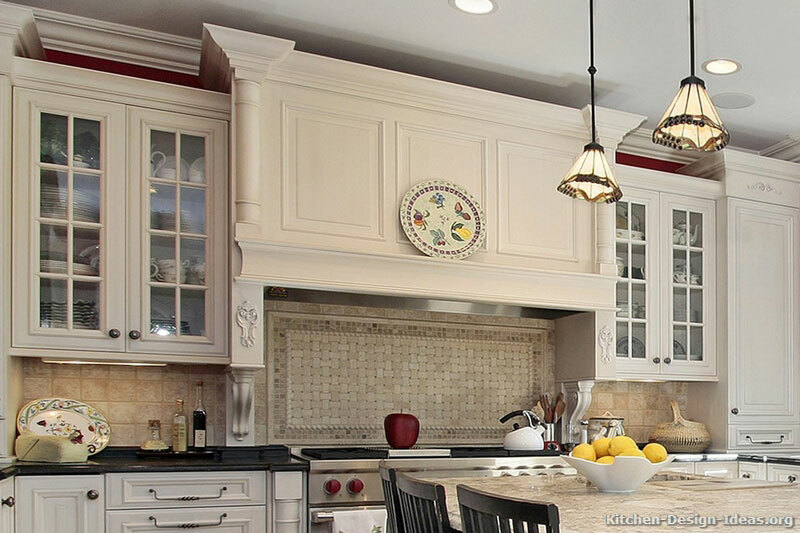 The mantel-style wood hood -- featuring half-round posts, decorative appliques, classic corbels, and a tall crown -- towers over the professional 48-inch range oven. Staggered height glass cabinets with mullion doors add interest to the left and right of the hood, while a framed basketweave backsplash tile pattern accentuates the cooking area.